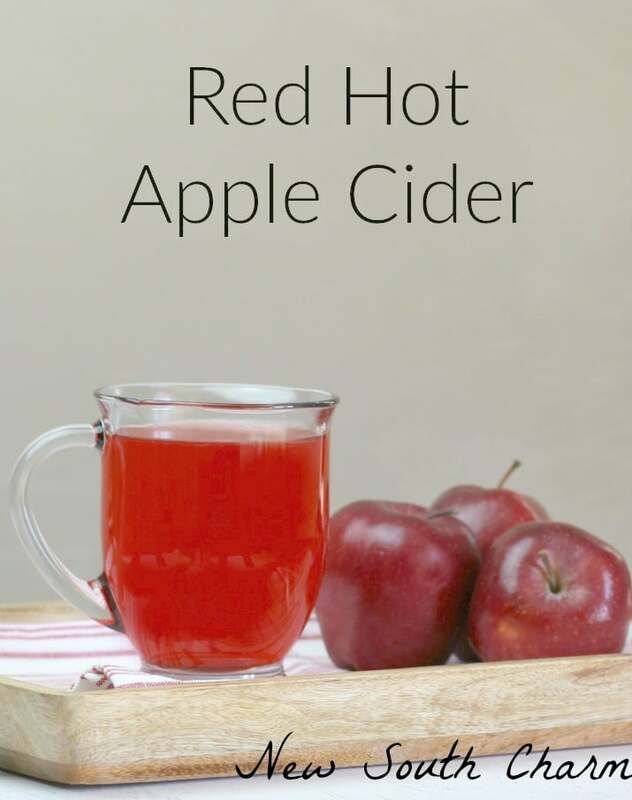 Red Hot Apple Cider is a fun drink to enjoy during the fall and holidays. It’s a great drink to keep you warm while you tailgate before the big game. This is also the perfect drink to enjoy with cookies while you decorate the tree. 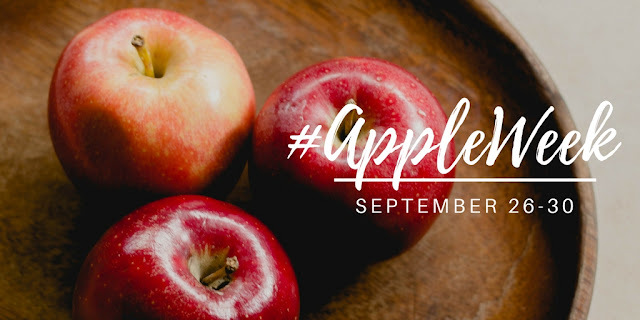 I’m teaming up with some great bloggers this week to share some of the best apple recipes on the internet. Today I’m sharing this great recipe for Red Hot Apple Cider. This is a recipe that I first tried with my husband’s family. I was a little skeptical at first but now… I’m hooked. Apple cider and Autumn are just meant to go together. They are like peanut butter and jelly or peas and carrots. They were just made for each other. 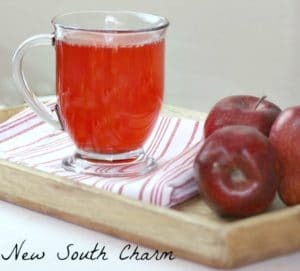 Red Hot Apple Cider gets it’s name from the candies Red Hots. Do you remember those from when you were a kid? They are small red (obviously) cinnamon flavored candies. These candies are a key ingredient and give the drink its red color. 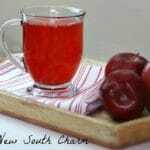 I make this drink in two quart batches but you can easily make a gallon or two by doubling or quadrupling the recipe. In a large pot combine two quarts of apple juice with sugar and simmer over low heat. Once it’s hot but not boiling add in the Red Hots stirring occasionally until they are melted. I recommend using a slotted spoon to stir with. I know that sounds a little weird but when the candy starts to melt the liquid turns red and it can make it difficult to see how much candy is left in the pot. Using a slotted spoon makes it al little easier. If you are serving this at a party or family gathering where you want to keep it warm for a longer period of time transfer the mixture over to a crock pot set on warm. I hope you you’ll enjoy this fun recipe. It’s really a great drink to enjoy in the cooler weather. Be sure to scroll down to the bottom of the page to see what my blogger friends are cooking up for Apple Week. Oh my goodness, it turns out beautiful! I love the red color and can imagine the cinnamon spice. Yum! 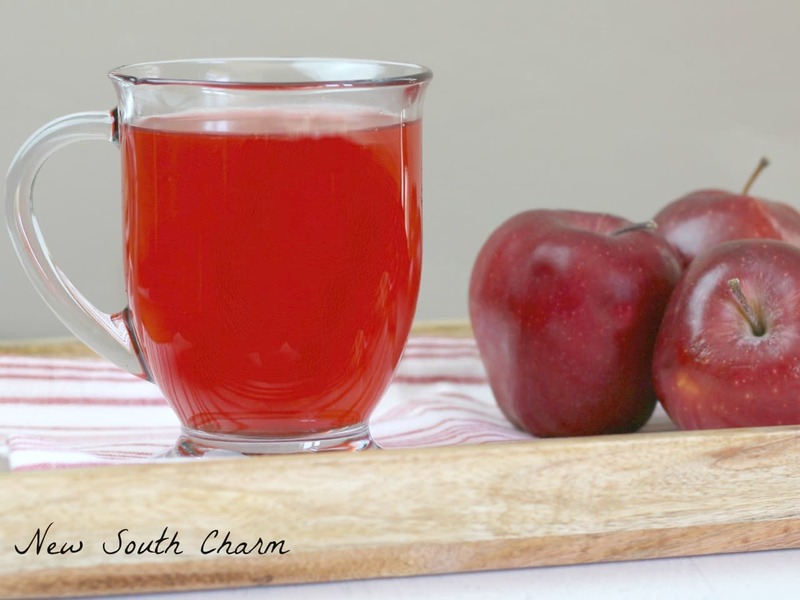 A perfect drink to have in your crockpot during a Fall get together.. I always loved those red hot candies! I love how red and pretty it makes the drink.